The health bus is the first in the country to offer accessible healthcare for rough sleepers in the form a mobile clinic. The conference was held at St Stephen’s Church Hall in Bournemouth, and followed the recent fundraising efforts of students for The Big Issue Foundation which totalled over £5,000. The students met informally with a number of government representatives from the Department of Health and Social Care, including Mark Davis, director for the Department of Health. Representatives spoke of their plans, both short and long term, to end rough sleeping nationally. The students heard from the Homelessness and Housing Strategies team at Bournemouth Borough Council and Councillor Chris Wakefield about local-based initiatives to tackle homelessness and rough sleeping. The students also heard from Dr Kirk about the Bournemouth Health Bus and how it has transformed the accessibility of healthcare services for rough sleepers. The students were interested to listen to discussions about how the concept of the Health Bus could be rolled out nationally, and the necessary integration of various care partnerships to ensure its future success. 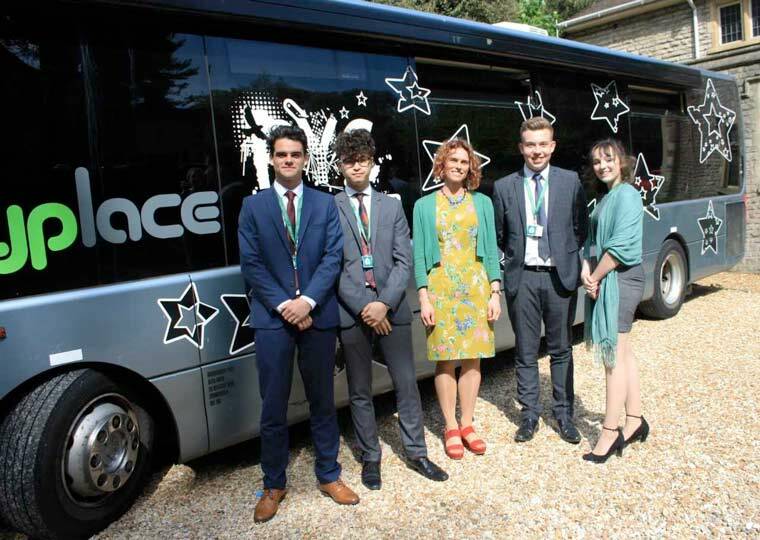 Ringwood Sixth Form student Tom Weetman said, “It was a really interesting event that allowed us to gain insight into the work of government in tackling homelessness, at both a local and national level. This event has motivated us to organise further fundraising activities so that we can do our part in helping to solve this crisis that we are facing across the country”.